Backing Vocals – Gabe Burch, Gaston Jouany, Jacob Sciba, Joseph HolguinBass, Bass [Key Bass] – Mike ElizondoDrums – Brannen TempleVocals, Guitar, Keyboards, Programmed By [Programming] – Gary Clark Jr.Written-By – Curtis Ousley, Gary Clark Jr. Backing Vocals – Branko Presley, Gabe Burch, Gaston Jouany, Joseph Holguin, Katelyn O'Neal, Lazaro Zarate, Mikayla Mundy, Pam Adams, Scooter Weintraub*Drums – J.J. Johnson (8)Vocals, Guitar, Bass, Percussion – Gary Clark Jr.Written-By – Gary Clark Jr.
Bass – Mike ElizondoDrums – J.J. Johnson (8)Vocals, Guitar, Keyboards – Gary Clark Jr.Written-By – Gary Clark Jr.
Bass – Mike ElizondoDrums – Brannen TemplePercussion – Sheila E.Vocals, Guitar, Keyboards – Gary Clark Jr.Written-By – Gary Clark Jr.
Bass, Bass [Key Bass] – Mike ElizondoDrums – Brannen TempleKeyboards – Jon DeasPercussion – Sheila E.Vocals, Guitar, Keyboards, Programmed By [Programming] – Gary Clark Jr.Written-By – Bobby Eli, Carl Fisher (2), Gary Clark Jr. 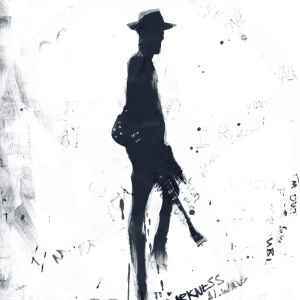 Drums – Brannen TempleVocals, Guitar – Gary Clark Jr.Written-By – Gary Clark Jr.
Bass – Mike ElizondoDrums – Brannen TempleKeyboards – Jon DeasPercussion – Sheila E.Vocals, Guitar, Programmed By [Programming] – Gary Clark Jr.Written-By – Elmore James, Gary Clark Jr. Drums – Brannen TempleGuitar, Bass, Keyboards, Programmed By [Programming] – Gary Clark Jr.Performer [Dub] – Jacob ScibaWritten-By – Gary Clark Jr.
Bass – Alex PetersonDrums – Brannen TempleKeyboards – Jon DeasOud – Doyle Bramhall IIPercussion – Sheila E.Vocals, Guitar, Programmed By [Programming], Keyboards – Gary Clark Jr.Written-By – Gary Clark Jr. Published By – Medal Music Inc. Published By – Ace Records Ltd. Published By – Syl-Zyl Music Company Inc.
Management – W Management Inc.
Producer, Engineer [Engineered By], Executive-Producer, Creative Director [Creative Direction] – Gary Clark Jr. Issued in a textured gatefold sleeve with insert and hype sticker on shrink wrap. Tracks D3 and D4 are bonus tracks. First catalog number on spine, second on labels. © ℗ 2019 Warner Bros. Records Inc. for the U.S. and WEA International Inc. for the world outside the U.S.